Shown are individuals in attendance of this year’s Holzer Heart Event, held at The Colony Club. 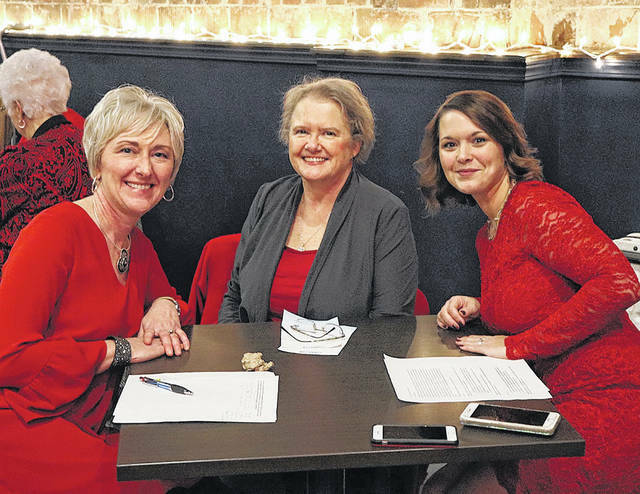 The 2018 Holzer Heart Event panel consisted of, left to right: Marianne Campbell, Guest Emcee, Lori Cremeans, RN, MSN, CRRN, CWOCN, Director, Cardiovascular and Pulmonary Services, Holzer Cardiovascular Institute, Jennifer Spradlin, RN, Cardiopulmonary Care Coordinator, Holzer Cardiovascular Institute, Suzanne Mize, MD, and Michael Hemphill, MTA, PTA, CAE, Manager and Wellness Coach, Holzer Therapy and Wellness Center. GALLIPOLIS — Holzer Cardiovascular Institute recently held its annual Heart Event featuring panel members Lori Cremeans, RN, MSN, CCRN, CWOCN, executive director, Holzer Cardiovascular Institute, Suzanne Mize, MD, Jennifer Spradlin, RN, Cardiopulmonary Care coordinator, Holzer Health System, Mike Hemphill, director, Holzer Wellness Center, and guest emcee, Marianne Campbell. This year’s event was held at The Colony Club and aimed at providing a relaxed and conversational atmosphere for those in attendance. 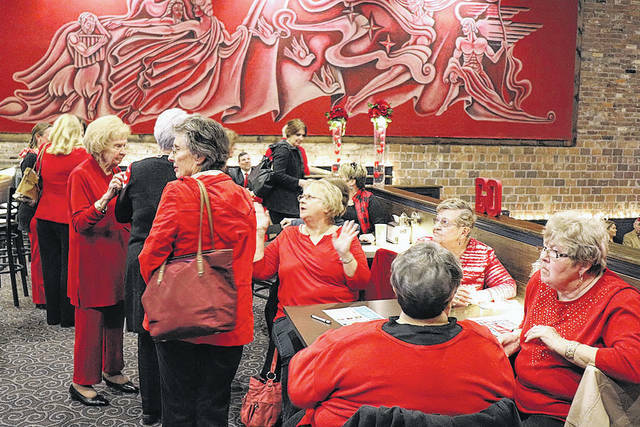 Holzer hosts this annual event to encourage communities to make heart healthy lifestyle choices. Community members are welcomed to participate in a panel discussion full of heart health information and tips to take back to loved ones. Those in attendance were encouraged to help raise awareness in our communities about heart disease and educate families and loved ones on the preventative measures available. Topics presented included heart attack and stroke symptoms and risks, current statistics on heart health, congestive heart failure information, wellness and fitness tips for optimal heart health and the Cardiopulmonary Care Program now available for Holzer patients. Holzer Cardiovascular Institute has assembled a qualified team of cardiac physicians, nurses, and other clinical staff. Using the technologically advanced cardiac equipment and procedures, Holzer Cardiovascular Institute is devoted to cardiac care. Through inpatient and outpatient services including medical management, cardiac catheterizations, surgical treatment, Holzer offers diagnostic cardiac catheterizations as well as cardiac angioplasties/stents. Providers manage a variety of heart and vascular conditions including: Coronary Artery Disease (hardening of the arteries), Cardiac Arrhythmias (irregular heartbeat), Heart Valve Disease, Heart Conditions associated with Diabetes, Lung Diseases, Vein and Vascular Disease, and Carotid Disease. Services include: cardiopulmonary testing, cardiac catheterization, electrophysiology/heart rhythm management, peripheral vascular disease, vein center, cardio and pulmonary rehabilitation, and pulmonary services. According to information from the American Heart Association, heart health begins with seven steps. Managing blood pressure accounts for the mitigation of heart disease and stroke and reduces strain on arteries and kidneys. Controlling cholesterol keeps plaque, artery cloggers, under control and free of blockages. Reducing one’s blood sugar can avoid the damage of high sugar levels which can effect the heart, eyes, nerves and kidneys. Being active is always endorsed by health professionals for maintaining a healthy lifestyle along with a better diet. These both go hand-in-hand with weight loss. Not smoking can also prevent major health problems throughout life.